Water Distribution Modeling and Analysis Software. Utilities and engineering firms around the world trust WaterCAD as a reliable decision-support tool for their infrastructure. Design new water systems and manage existing water networks effectively to reduce disruption risks and energy use. Build and manage hydraulic models: Jumpstart the model-building process and manage your model effectively, so that you can focus on making the best engineering decisions. Leverage and import virtually any external data format, which maximizes ROI on geospatial and engineering data, and automate terrain extraction and node allocation. Identify water leakage: Conserve water and increase revenues by reducing water leakage. Leverage flow and pressure data to find locations for detailed sonic leak detection (WaterGEMS only). Study the amount by which you can expect to reduce leakage by reducing pressure and see the impact on customer service. 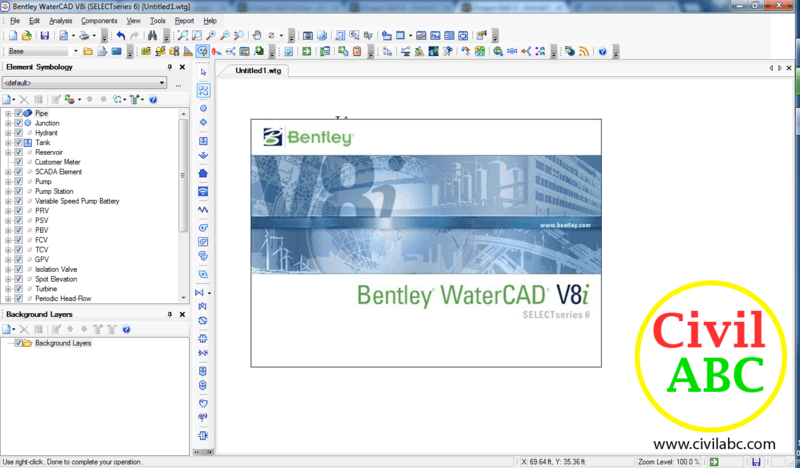 17 Comments for "Download Bentley WaterCAD v8i SS6 (x86/x64)"
Kindly provide bently's patch rar password. And thanks for providing the software. please share with me the password for the the two files,and thanks for the great piece of work. where is the link for dowlond it??? do you have a link to download Bentley power Inroads?